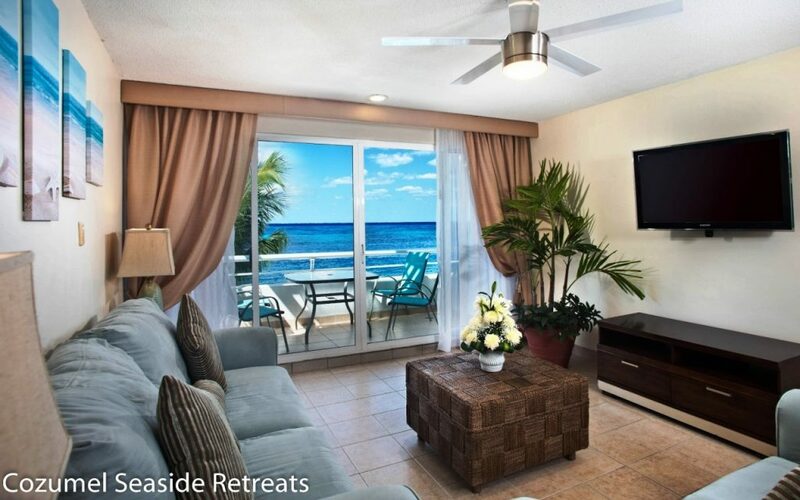 Miramar Condo 301 for rent Oceanfront Condo in Cozumel Island. 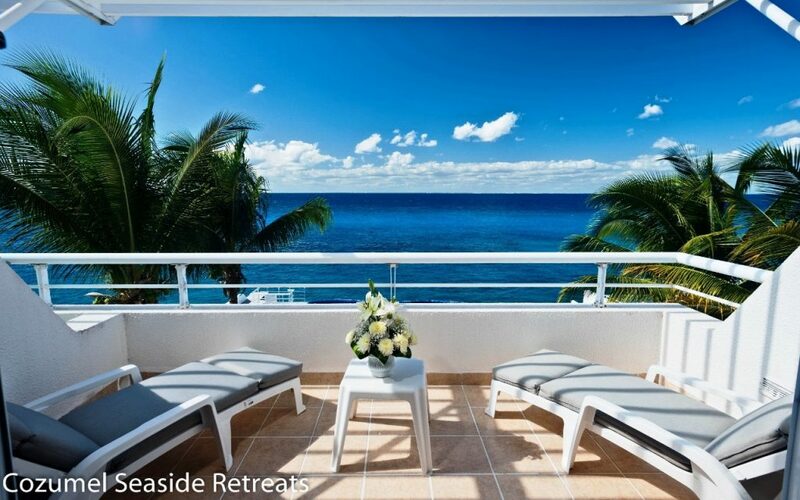 The new owners of this spectacular condo have spared no expenses in decorating Miramar Condo 301 with the finest furniture making it one of the most desired Oceanfront Condos for rent in Cozumel. 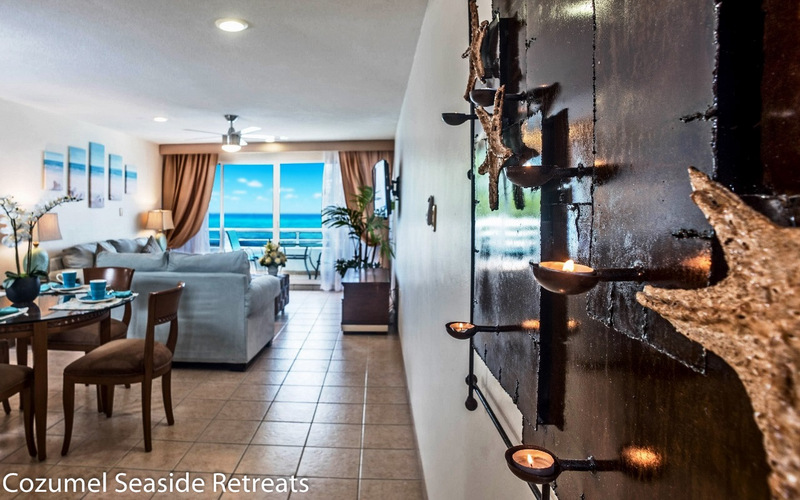 Located in the south tower, Miramar Condo 301 features one of the best unobstructed and direct ocean front views in the entire building! Located in the south tower, with 2 private oceanfront balconies, you will feel like on a cruise ship with the ocean so closed! Miramar Condo 301 is on the third floor of the building with a fantastic crossed breeze and screens throughout the unit. It can be rented as a 1 bedroom, 2 bedrooms or 3 bedrooms. Living room: The living room, dining room and kitchen have direct awesome ocean views. 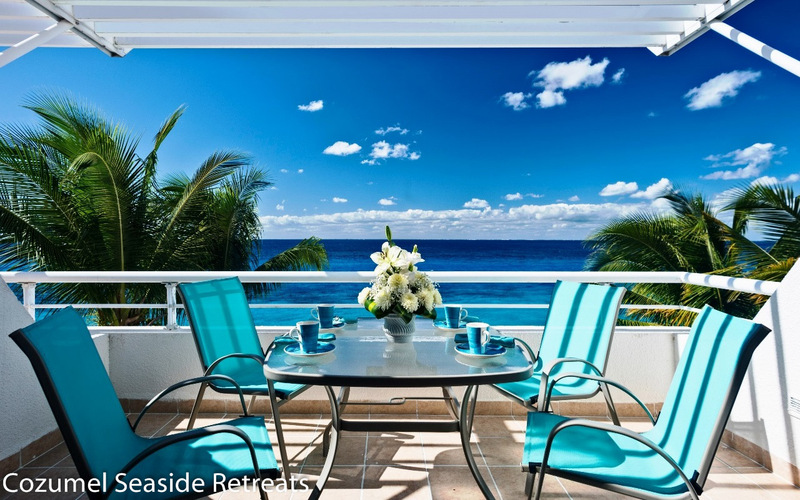 Sliding glass doors from the living area open onto a private ocean front terrace where you can enjoy the beautiful Caribbean sunsets. Master Bedroom: The master bedroom features a magnificent king size bed, a spectacular ocean view, a flat screen TV and ceiling fan. The master bedroom private bath has a large walk in shower. Second Bedroom partial ocean view: The second bedroom is decorated in calming blues and features a king size bed, a flat screen TV and ceiling fan. The second bedroom private bath has a massive glass walk in shower. 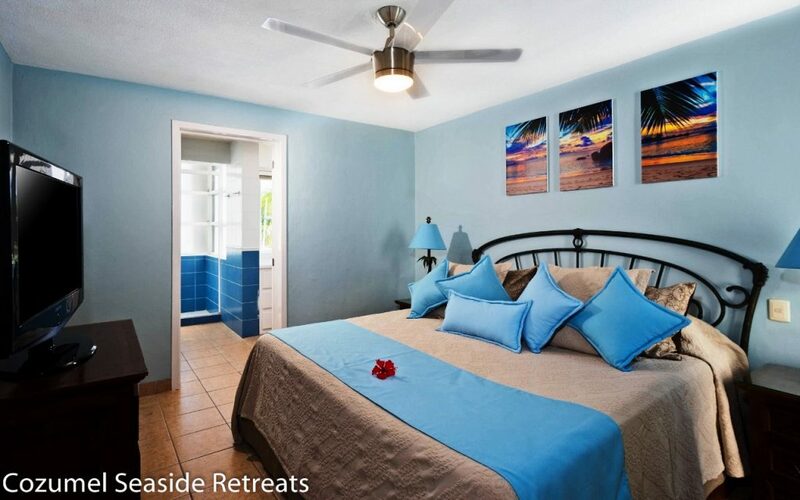 Third Bedroom jungle side: The third bedroom features 2 full size beds with ceiling fan and private bathroom. This large bedroom works great for kids. Lauren N. / It was perfect for complete relaxation! If you are looking for a ritzy, high class joint, keep driving. 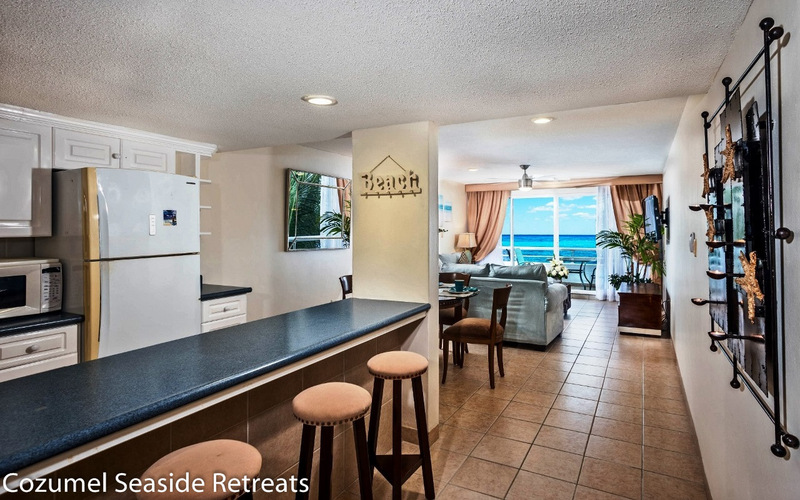 If you are looking for a very nice three bedroom condo with a washer,dryer,pool,and ocean views, this is your place. Quiet and clean, nice kitchen, air conditioning, maid service every other day. I felt very secure and would stay at Miramar 301 again. I have stayed at many places in Cozumel, some nicer than others but this place can only be described as a great value for your money. Lilli C. / A very Pleasant place! When we were ready to go on a vacation with our friends to Mexico, we found Miramar 301 in Cozumel and decided to give it a try. We had seen the pictures, heard a few others give rave reviews, and we were very excited to experience what others had experienced. When we arrived at the Miramar 301 condo and opened the door, we were blown away. Everything looked new and clean. Rooms were large and beautifully decorated. The living area was open to a spacious kitchen which had new appliances. There was plenty of cupboard space, and we had everything we needed to make meals. It also had a washer and dryer. 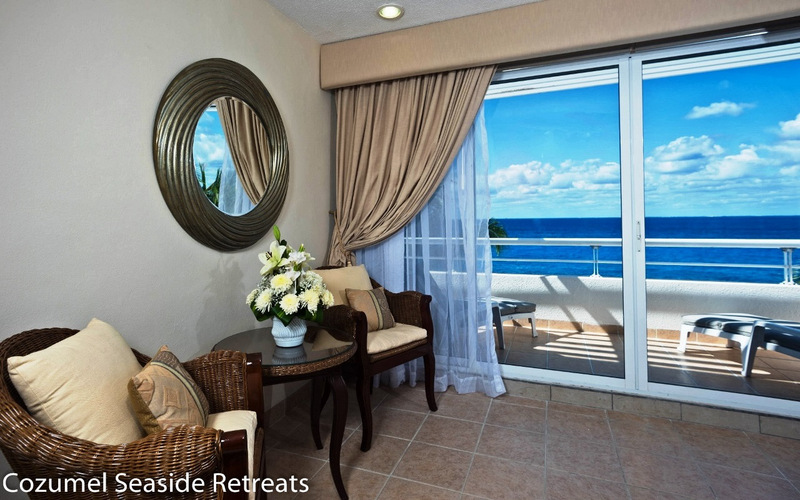 The living area was comfortable with amazing views of the ocean and a spacious balcony. 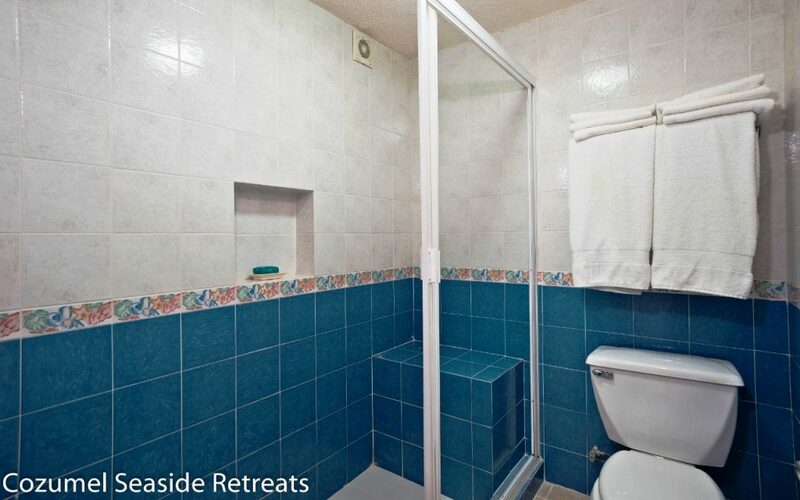 Other enjoyable amenities included free internet, satellite TV, DVD player, a selection of DVDs and books. All three bedrooms were large with king and queen beds, lots of storage space, and separate bathrooms. The staff was very helpful in answering our questions, and housekeeping kept everything clean. 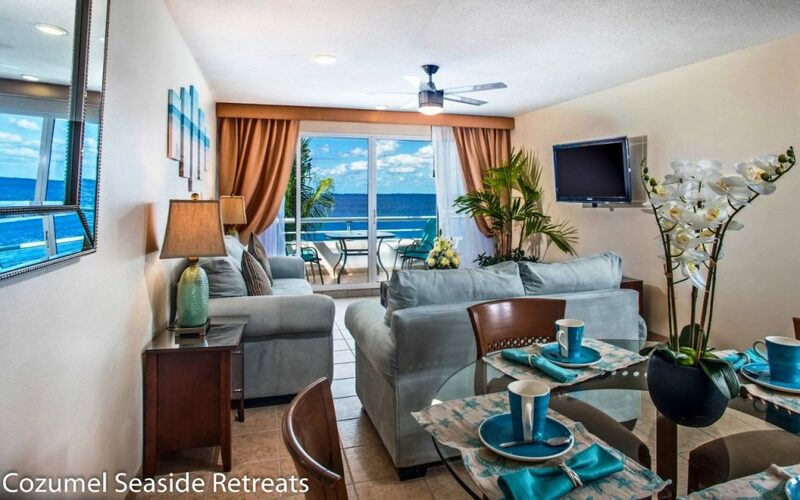 Miramar 301 is a wonderful place inside and out with a beautiful pool that sits right on the ocean. 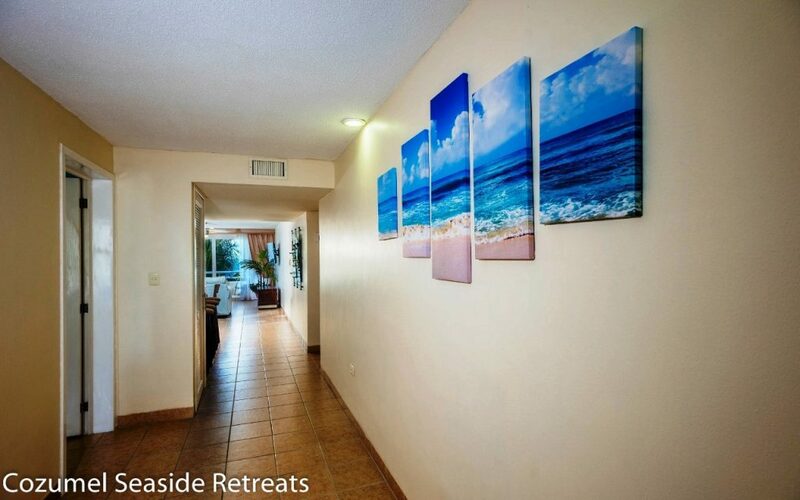 You can snorkel for miles in either direction of the condo, travel easily to town on the lighted walkway, and quickly get a taxi if you want to go anywhere else. Restaurants are great; people are friendly; and we always felt safe on our daily walks. 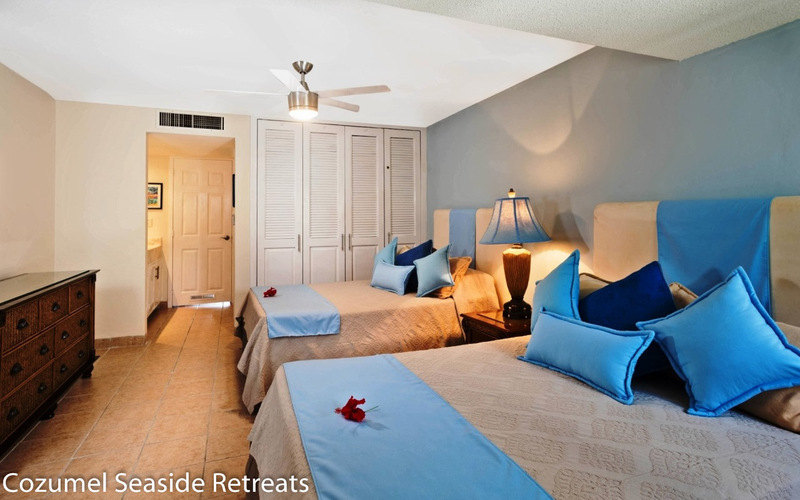 We could not be more happy with what we experienced at Miramar and recommend it for a relaxing, fun vacation! kenia A. / Relaxing and Fun! All I can say is Wow! My husband and I came to Cozumel to celebrate our 5 year wedding anniversary and we decided to rent a condo. We abosutely made the best choice! 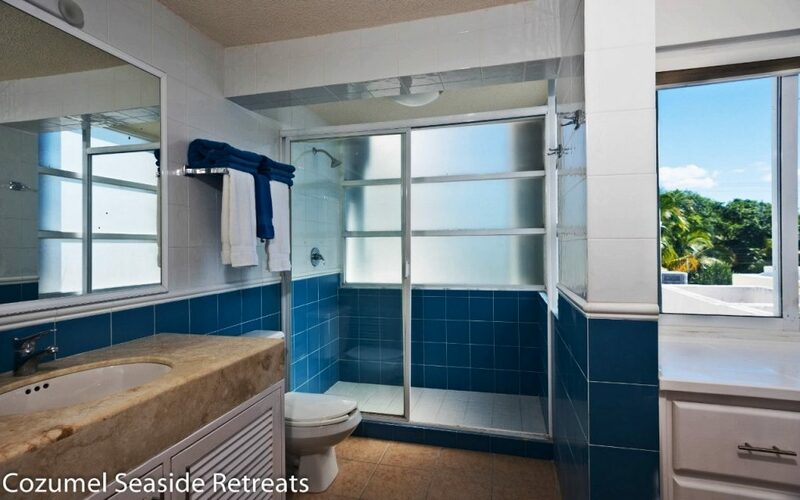 This condo was perfect for the two of us ! 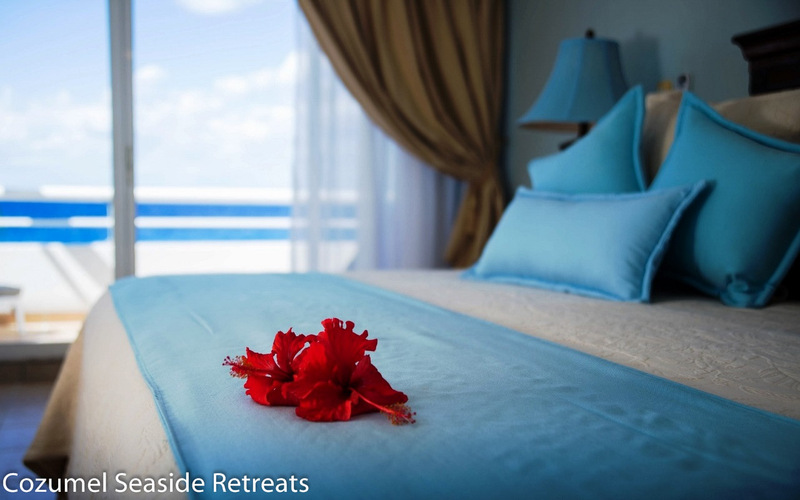 Waking up every day in the blue caribbean ocean... heavenly! Thank you! Thank you! Thank you!" Wow! We were the first guests using the unit since the renovation and we LOVED it. The new owners completely transformed this condo, it is quite spectacular really. 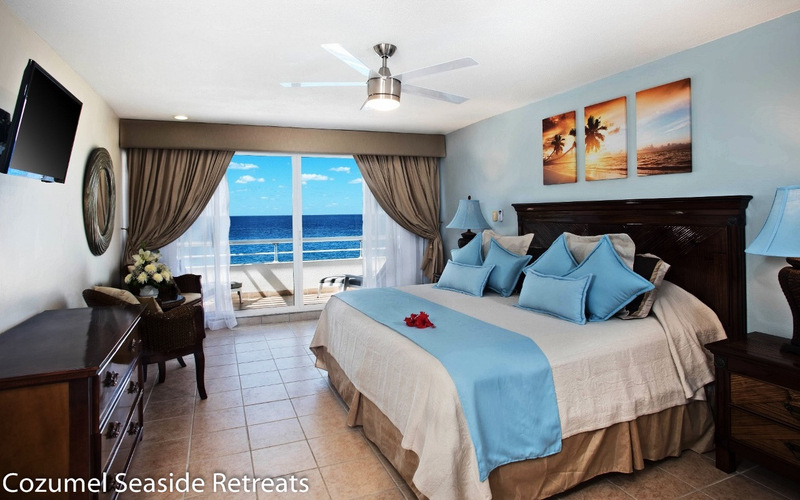 I like the calming light blue and sand colors used for the bedrooms. The view from the oceanfront master bedroom is terrific, the ocean is so closed, it feels like being on a cruise ship (only it is a far better and more private experience). This is our new favorite condo in Miramar building, so spacious with 3 bedrooms; it fits our family’s needs perfectly. Always ask for a condo in the south tower, like this one, they have the best view. We will be back! Muchas gracias! Melissa T. / WOW ESPECTACULAR! Miramir 301 is a nice unit, very spacious. The property is a ways from town but the view is fantastic and it is quiet. We were glad we rented a car because taxis are not usually driving by. It would have been nice to have bicycles available. We watched cruise ships and fishing boats daily. Communication before arrival was great. With such a large unit, the living room seating was a bit cramped for 4 people. None of the electronics were hooked up when we got there--internet, or dvd player. We were also disappointed that the internet was weak, too weak to work well in two of the bedrooms. It was nice to have a washer and dryer, and maid service every other day, tho a dishwasher would have been nice. The kitchen was pretty well stocked overall. 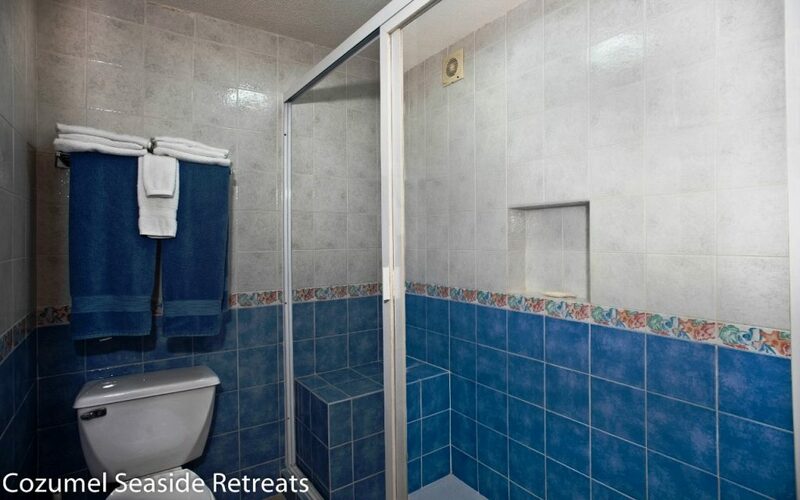 Only the master bathroom had a nice warm shower, the others were cold. The pool area is very nice with plenty of comfortable lounge chairs and padded chairs at the patio tables. The diving platform was enjoyed by many of the guests. The welcome book was a good reference--especially the map. Overall we had a very nice stay. We loved the newly renovated Miramar 301, the new owners did a fantastic job remodeling this three bedroom unit, we highly recommend this property , we´ll be back soon! Pamela S. / Wonderful place to stay! 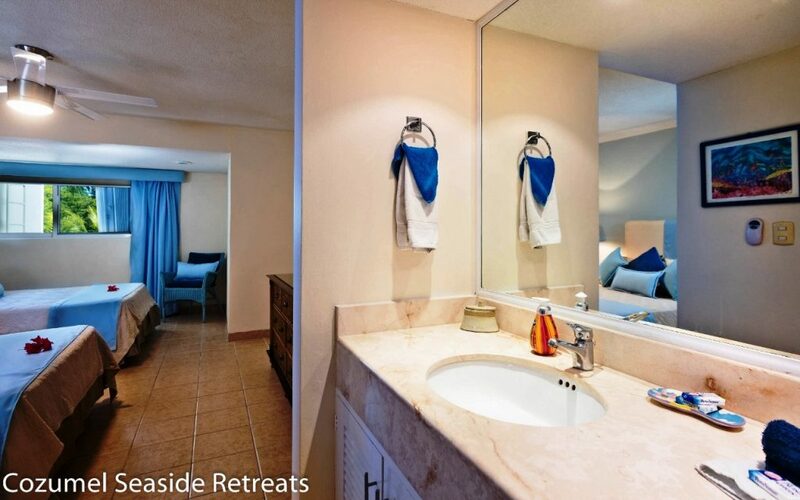 Cozumel Seaside Retreats will make sure your stay in one of their properties is a wonderful experience! 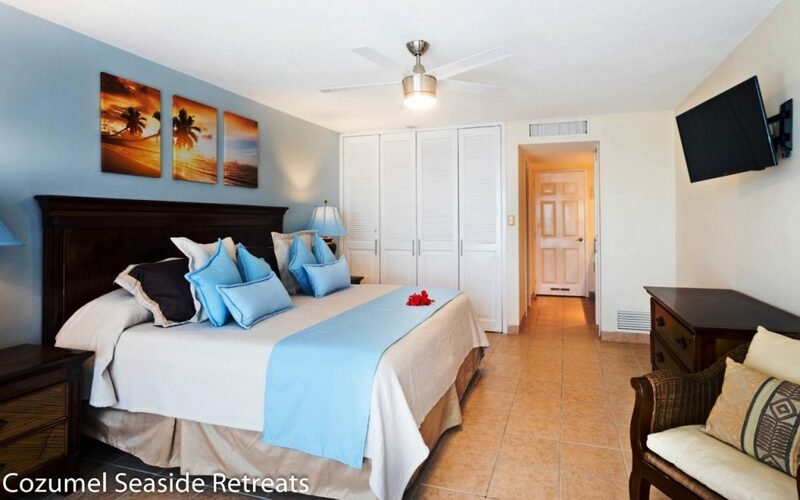 The warm personal welcome, useful island information, economical and convenient rental car arrangements, restaurant referrals and much much more, contributed to a positive stay at Miramar 301. The unit is a good space unit with a spectacular ocean view, excellent wifi, good closet space and basic kitchen supplies including a blender. Plumbing, AC, TV, appliances & phone were in working order. Residents share the quiet condo pool area, easy access to the ocean, and a barbecue. The service staff kept the property clean on the inside and picturesque outside! Damian S. / Wonderful Experience! We have stayed at the Miramar 4 times now in different units and have enjoyed each and every one of them. Isabella and the staff are so wonderful they make us feel right at home. This unit has everything a person needs, especially the kitchen to prepare meals, right down to even having the clips to seal chip bags. I can't say enough good about the Miramar. We love it so much, we have only been home a few days and have already booked again for the next year. We stayed in room 301, two bedroom/ 2 bathroom condo, with a full kitchen. Air conditioning worked great, but for most of the days we kept the front door balcony open and were treated to a pleasant tropical breeze throughout the condo. Predominantly, the snorkeling immediately off of the shore, right behind the pool, was phenomenal. We snorkeled south, up-current, for about an hour each day and then drifted back to the condo as if it were a lazy river. There was a minimum of 100+ ft visibility everyday. the staff were extremely helpful to make our stay as pleasant as possible. We did have a full day of rain on our vacation, but weren't too disappointed because of how at home we felt in the condo. 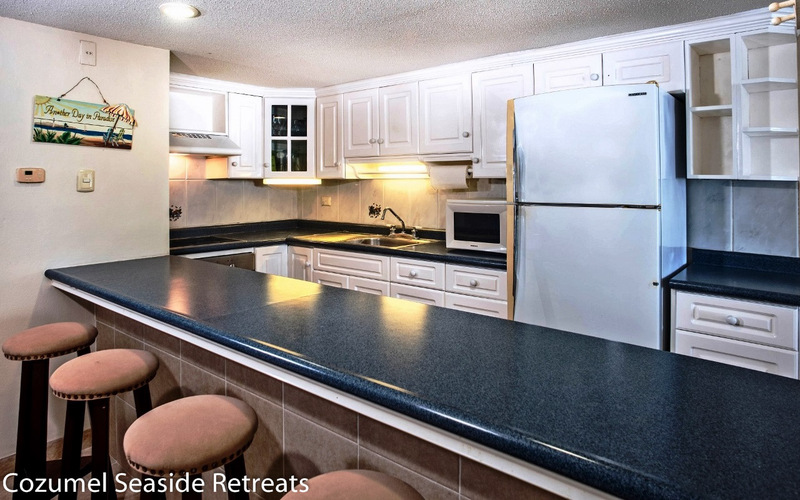 We were extremely comfortable with the amount of space and amenities offered in the condo (washer/Dryer, 5 gallon purified water cooler, cable TV, WiFi, phone service local and to the US). The location was perfect, being a 7$ cab ride outside of the main town and the condo was clean and comfortable throughout our stay. It really did feel as if a rich uncle had let us stay in their condo. 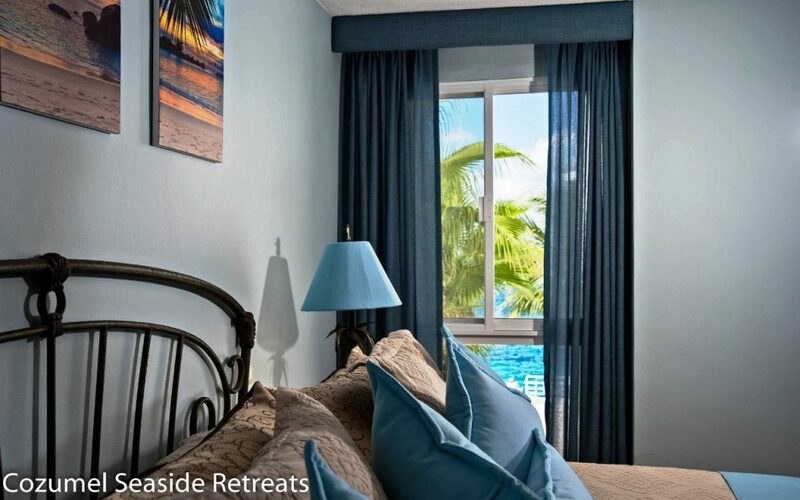 We plan on returning and would recommend working through Cozumel Seaside Retreats to anyone. This place was great. For the middle of summer it was very nice to have A/C. We loved being right on the water and able to snorkel. The jumping platform was fun and the pool felt great. The have water that is filtered and cold. It doesn't get better. We also like that it was away from town. It was very quiet and very well kept. The best part had to be the view every morning and afternoon. It was beautiful. I highly recommend this place. 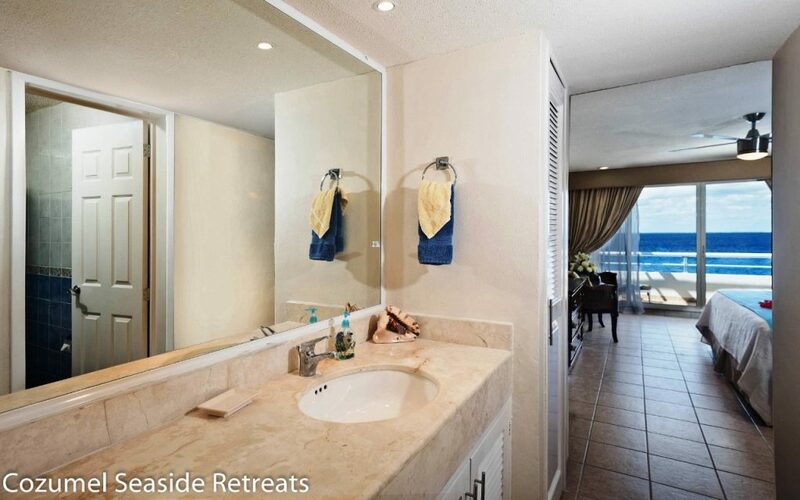 The Condo was ideal for a vacation, spacious and the view is phenomenal. Clean, spacious and comfortable. Easy access for carrying luggage in. Snorkeling directly in front is fantastic. 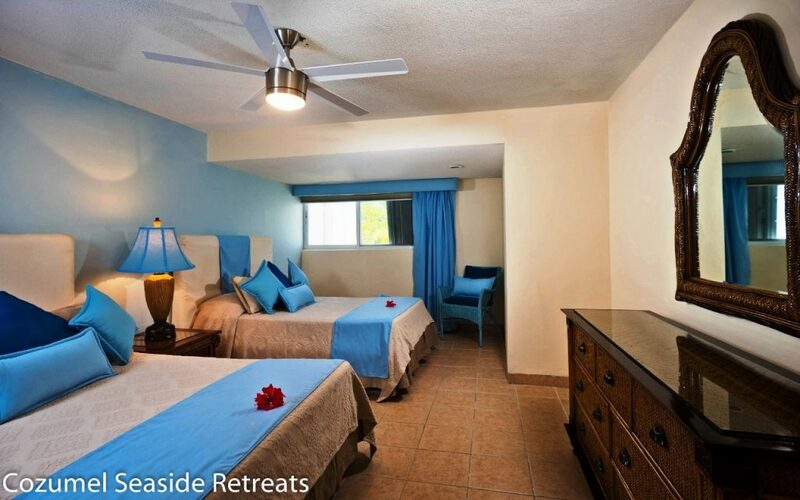 Cozumel Seaside Retreats have been the most gracious people I have rented from, the staff were fantastic. I would highly recommend them for your vacation needs.